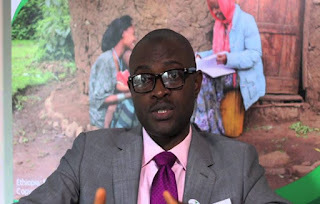 Dr Olusola Akande, Executive Secretary of Oyo State Health Insurance Agency (OYSHIA), has called for increased awareness among Oyo citizens on social health insurance programme in the State to enable them to embrace the scheme. Akande said adequate sensitisation on the importance and benefits of health insurance are required for the programme to really gain ground sufficiently. The health insurance agency boss spoke at a media dialogue on improving access and uptake healthcare for marginalised women and children in Oyo State which was organised by Oyo State Ministry of Information in collaboration with OYSHIA and the United Nation Children’s Fund (UNICEF). According to him, the agency has recorded 100,000 enrollees in the last 18 months of its operations and that it targets was to hit 450,000 to cover five percent of the population of the state before June. He also said, no fewer than 100 pregnant women in the state have delivered through Caesarean Section (CS) done under the health insurance scheme and that thousands of residents of the State have benefited from the scheme. Contributing, Mr. Rotimi Babalola, Director, Press and Public Relations, Oyo State Ministry of Information, Culture and Tourism, praised UNICEF for its efforts in ensuring the wellbeing of children and women. Mrs. Blessing Ejiofor, UNICEF Communication Specialist, in her remarks said access to quality healthcare is a right of every child and charged the media to assist in reporting issues that would prompt the policymakers to take proactive steps and implement policies that would make life better for children, women and other vulnerable groups. Similarly, Dr Adebola Hassan, UNICEF Health Specialist and other experts in their various presentations dwelled on the importance and benefits of health insurance and stressed the need to attain Universal Health Coverage (UHC) and ensure good health for the citizens.